Security and manageability: I know open WiFi is not safe…and managing the WiFi passcode is a hassle. 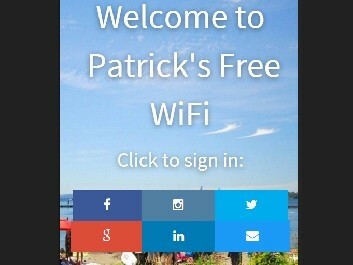 Benefits to business: As the business owner, what else do I get in return by offering free WiFi? The world needs an innovative guest WiFi hotspot solution that answer all these questions from you! Now introducing Zamplifi (web site http://zamplifi.com), the business-class guess social WiFi hotspot router from FanZappy. 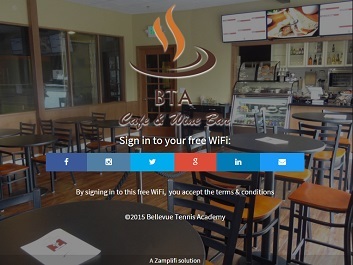 For qualified local business establishments, we ship to location a pre-programmed, pre-configured, and fully-customized Zamplifi router that creates a powerful guest WiFi spot in your premises that enables one-click secure guest sign-in from customer’s existing social media account and encourages guests to like, follow, and promote your business socially. Your Zamplifi router runs an WiFi campaign that promotes your business with specials or messages to your guests. Last but not least, your Zamplifi router captures guests’ contact information such as email and phone numbers that you can use to continue engaging with them after they leave your store. As FanZappy’s “hardware-as-a-service” offering, we monitor the router and your hotspot 24/7 over the cloud so you don’t have to.